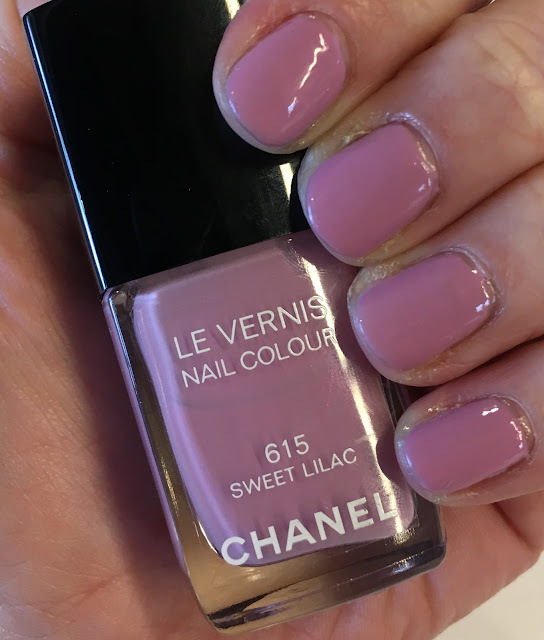 I'm pulling out an oldie but goodie today ... Chanel Sweet Lilac. This purple stunner is one of those colors that's just designed to bring a smile to your face every time you look at it. Sweet Lilac is such a good name for this color. As you can see, it's most definitely lilac and it's most definitely sweet! I love the pastel hue and the creamy texture -- it just begs to be worn once temperatures warm up. I actually just painted my nails with it early this morning -- I woke up around 6:15, and since I don't leave for work until 7:30, I had a few minutes to spare after getting ready. I realized recently that I have an amazing Chanel nail polish collection (click here for proof -- and, spoiler alert, this isn't even all of them), and I don't wear them nearly as often as I should. So I quickly perused my collection and out popped Sweet Lilac! 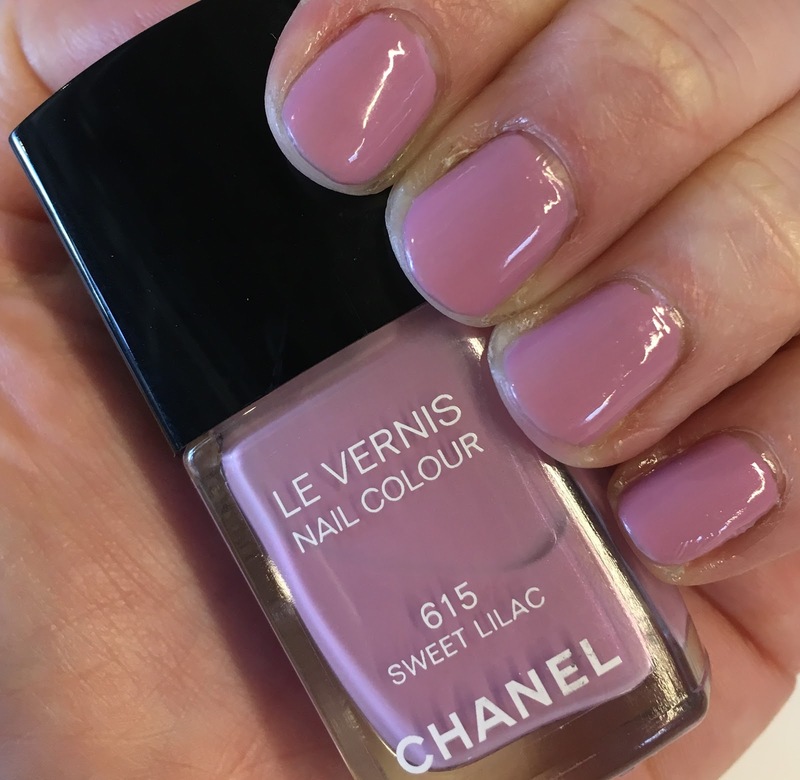 How sweet it is to love Chanel Sweet Lilac. The formula is fantastic on this polish -- two coats yielded even, opaque color with no streaks or patchy spots. 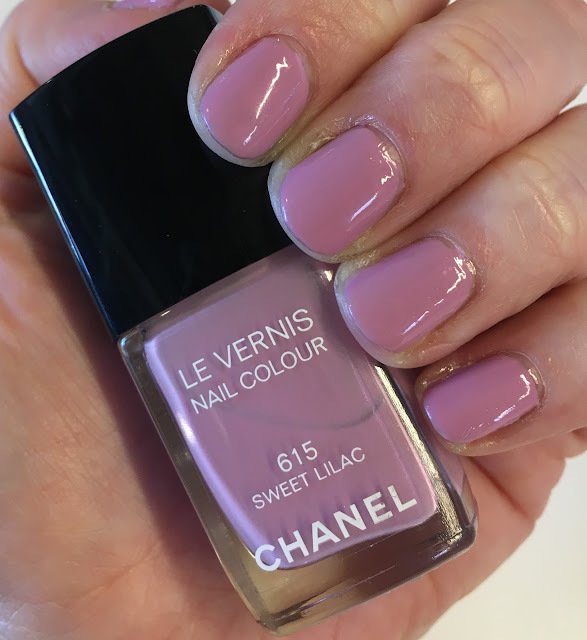 I've always loved how easily Chanel nail polish glides onto the nail, too -- and, even though this shade is pretty glossy on its own, I still used a quick dry top coat so I would lock in shine (and be able to leave for work 10 minutes later without smudging it). Unfortunately, Chanel Sweet Lilac came out in 2014, so it's no longer available. But if you can snag a bottle somehow, I highly recommend it -- it's the perfect color for spring! What a perfect, demure shade! What a sweet, wearable shade! You can get away with wearing this to work. I think I need this color in my life. So pretty and perfect for May Day! I have yet to try a Chanel polish. This is such a beautiful color! What a gorgeous pastel for spring! This is lovely! I love this polish! It's one of my faves and I totally forgot about it. I need to dig it up because LOVE. I'm in love with this shade! I haven't been using any color on my nails since they're artificial and she adds just the right amount of sparkle. But I'd use this one on my toes all summer long. What a gorgeous shade! I love it.